Enjoy a summer holiday to the gorgeous Venetian Riviera. We stay in the vibrant Italian seaside town of Lido Di Jesolo, which is located near Venice in North East Italy. Our hotel is in prime location just minutes from the golden sandy beach where we can while away our days. Lido Di Jesolo lies on the eastern banks of the Venetian lagoon, along the Adriatic coast. Boasting a 15 kilometre fine dolomite sandy beach, making it one of the longest beaches in Italy! The area is split into two distinct areas; Lido, which is the beach section where tourists flock to enjoy the various activities taking place around the beach and Centro, being home to cultural attractions as well as the town hall. With everything from fine dining, waterparks and a lively nightlife we really are spoilt for choice on how to spend our days away on a Solos Sun holiday. Our hotel’s private section of Jesolo Beach, which is just for the use of hotel guests is just 100 meters away. It is already accessorised with sunloungers and beach umbrellas where we can relax with a nice cold drink and a good book. For those that are more adventurous, the watersports offers the chance to try your hand at sailing or windsurfing. Or alternatively, try some mouth-watering traditional Italian dishes from the number of restaurants that are lined along the beachfront promenade. For the shopaholics amongst us, Lido Di Jesolo has one of the world’s largest pedestrian and shopping streets selling everything from high-end fashion items to bespoke jewellery. As the sun goes down, the town comes to life as the resort’s clubs and bars open up their doors to those that like to have a few to drink and possibly dance the night away! Away from the beach, there is an array of sightseeing options for those that like to venture out and about. No trip to the Venetian Riviera would be complete without a visit to Venice. Located just 40 kilometers away from Jesolo, the city has fascinated tourists and romantics alike. With an abundance of historical and cultural history in and around the city, Venice is one city not to miss. For those that like their wine, why not visit the city of Treviso which is known for being the original production area of Prosecco wine. Don’t leave without having a wine tasting session, and learn about the different wines that are produced in this region of Italy. What an enjoyable experience this holiday was. The area of Lido di Jessolo has plenty to do, both in the day and in an evening. Trip to Venice was excellent too. The biggest thing that made this holiday so memorable was the Tour Leader who was professional, going above and beyond to ensure this holiday ran so smoothly. She has a lovely personality and made it very easy to approach, if there were any questions. What a credit this lady is to Solos. Our hotel is ideally located just 100 metres from the sandy beach of Lido Di Jesolo and close to the main shopping street. Hotel facilities include a restaurant, a terrace pool bar, roof top swimming pool offering breath taking views of the Jesolo beach and Wellness area (additional charge). All rooms are well furnished and come equipped with a direct dial telephone, safe, air conditioning and balcony or terrace. 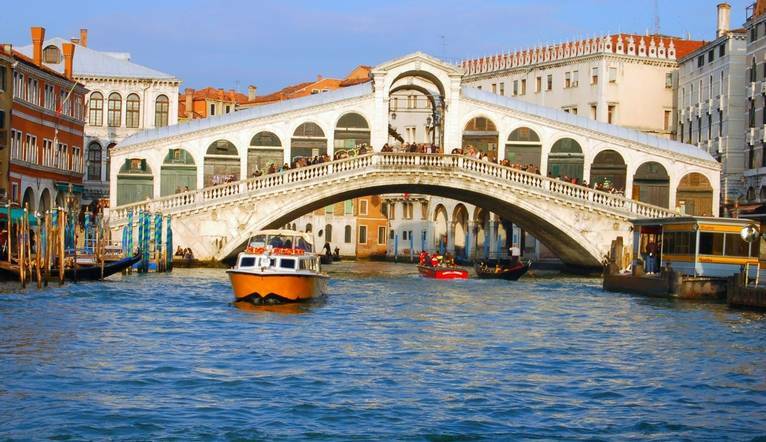 The transfer from Venice Airport to Hotel Colombo is approximately 30 minutes. These are just a few of the tours, which may be available to you depending on the time of year and the numbers interested. Full details of all the excursions available will be advised at the Information Meeting. Prices may vary, depending on numbers etc and are only a guideline. All tours should be paid for in Euros. The exact amount will be given at your Information Meeting. Your Tour Leader will help arrange these for you but may not necessarily accompany you. Enjoy a gondola ride down the various hidden canals of the islands, accompanied by the melody of Italian serenades.